It’s estimated that up to 1 million will pack Times Square this New Year’s Eve to watch the ball drop and ring in 2018. While ascending on midtown Manhattan is a rite of passage from one year to the next for many people, there’s one thing that you can’t deny about NY on NYE – traffic is a mess. 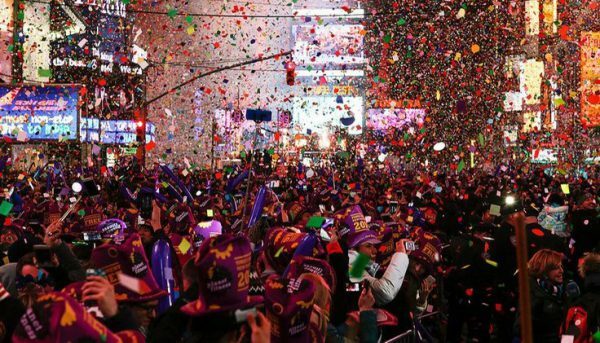 And it’s not just a mess in New York City, but anywhere throughout the state where celebrations are being had. When you combine traffic with the likelihood that there’s bound to be more intoxicated drivers on the road, it could make for somewhat of a dangerous driving situation. Noting this, it makes sense to come up with a few alternatives to getting around on New Year’s Eve. This way, you can enjoy all the festivities without worrying about getting behind the wheel at the end of the night. It’s something that would make defensive driving courses in New York beam with pride over how responsible you’re being. The subway is one of the best, most affordable ways to get around New York City at any time of the year, let alone on New Year’s Eve. Yes, it may be a tad busier on one of the biggest party nights of the year, but that shouldn’t detract you from taking a ride to and from where you want to be. Just be sure to plan for a bit of extra time and you’ll be fine. Another great, easy form of public transportation is none other than the bus. Be sure to allot yourself extra time on the bus as well, as these vehicles travel on the roads, which are typically much more congested on New Year’s Eve. One advantage of the subway is that you won’t have to deal with traffic, just other people. It’s never hard to find a taxi no matter where you are in New York, and though you’re likely to pay more for a cab than you would by taking public transportation, if you’re with a group of people and can split the cost, it can be a worthwhile venture. Plus, you won’t have to walk to stops or stations to catch your cab, it’s truly door-to-door service. If you want the door-to-door service and convenience of a taxi, but don’t want to pay taxi cab fees, then a ride sharing service such as Uber or Lyft might be your next best bet. Keep in mind that pricing fluctuates with ride sharing services based on the day and demand, so you’re likely to pay an increased rate than you normally would since it’s New Year’s Eve. But generally speaking, even an increased rate on Uber or Lyft is still cheaper than a cab. Plus, you might even be able to score some digital coupons if it’s your first ride. Whether you’re watching the ball drop in New York City or celebrating with family and friends elsewhere throughout the state, we can’t stress the importance of safety. If you do plan on driving, appoint a designated driver so you’re not a danger to yourself or others on the road. And, last but not least, here’s to a happy New Year as you ring in 2018.